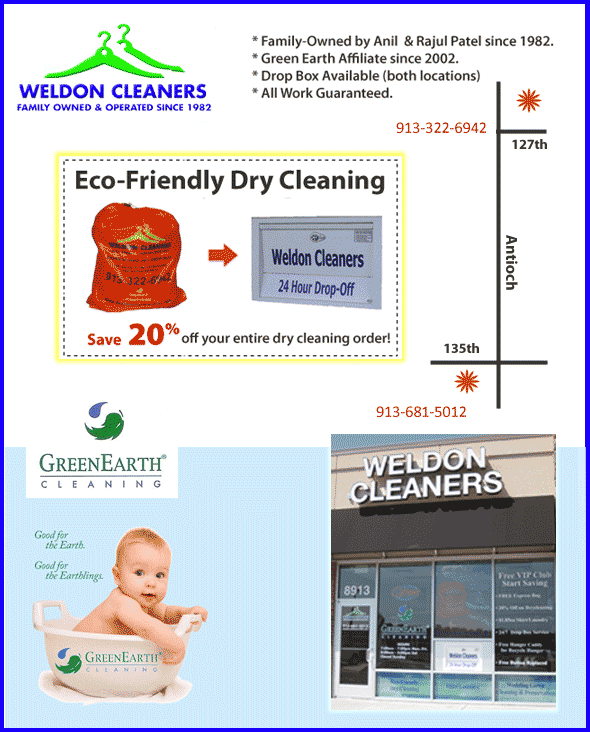 Latest News & Specials for Kansas City . . . Late October Edition. Halloween is upon us, and the holidays aren't far away. Ever miss the good old days when companies didn't TRY REALLY HARD to get you to go shopping on Thanksgiving? Yeah, me too. I like a good deal as much as the next person (no kidding), but it would have been nice if they would have kind of left that one alone. 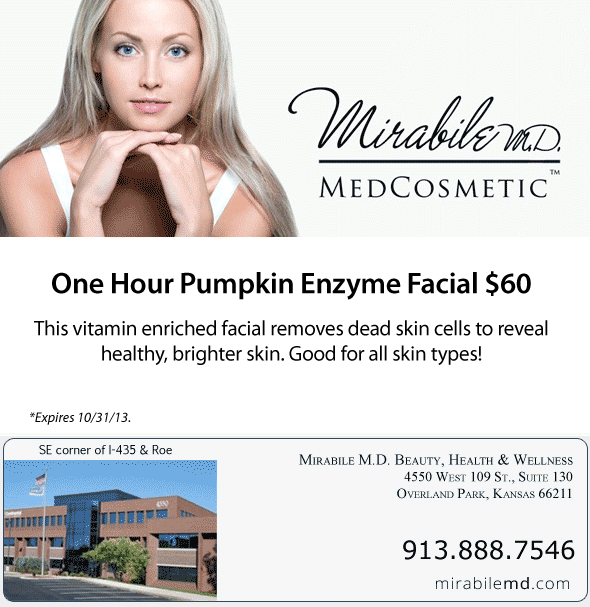 I do know that you can get One Hour Pumpkin Enzyme Facial for $60. Happy Halloween! One Hour Pumpkin Enzyme Facial $60. This vitamin enriched facial removes dead skin cells to reveal healthy, brighter skin. Good for all skin types! 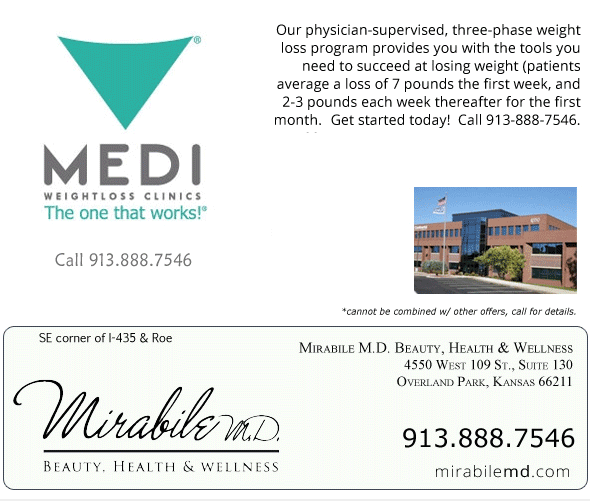 New Prepaid Value Plans - Save up to $250 w/ MyJoeCard on medically supervised weight loss! * (cannot be combined w/ other offers, call for details). Our three-phase weight loss program provides you with the tools you need to succeed at losing weight (patients average a loss of 7 pounds the first week, and 2-3 pounds each week thereafter for the first month. Call 913-284-0459. Rave: I'm going to keep mentioning the Kansas City Chiefs. They keep winning! We are the only undefeated team in the NFL - AND we broke the WORLD RECORD for Crowd Noise at a sporting event. Evidently one of the windows in the press box shattered! So cool. Go Chiefs! Buy 3 hrs of limo service and get 1 free* (*Sun-Thurs), or Buy 4 hrs and get 1 free w/ MyJoeCard* (*Fri & Sat), or Get 12% off other packages w/ MyJoeCard. * Call for details, blackout dates may apply, gratuity & fuel surcharges not included. 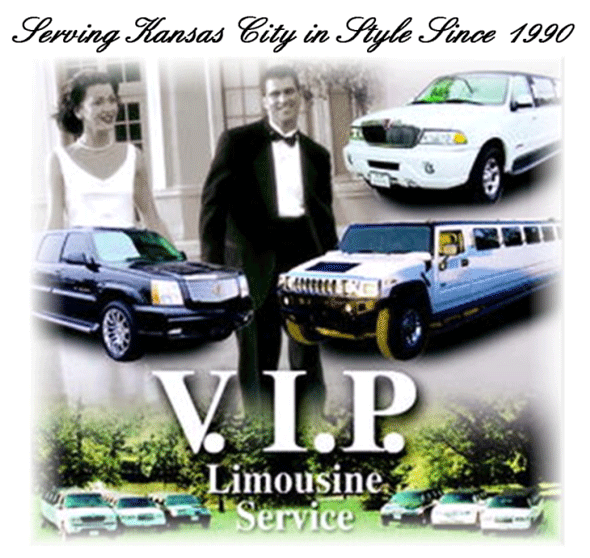 Featuring a 20 passenger hummer, Escalade limos, Kansas City's longest Lincoln Towncar limos (up to 14 passengers). Rant: In Google Fiber news, it looks very bad for Overland Park, KS. In the breaking story this morning, Google Fiber finally threw up their hands in trying to get a deal done with the Overland Park City Council. 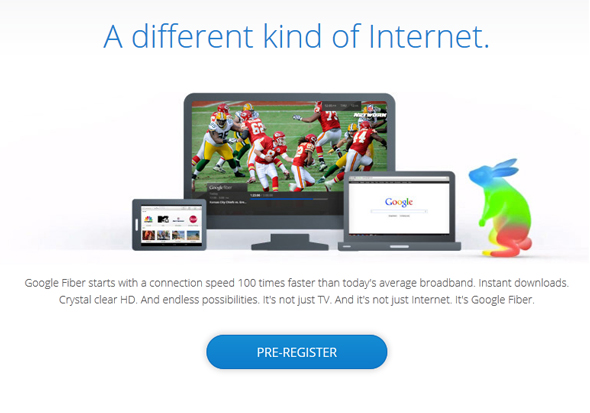 One of the important factors in bringing Google Fiber to the Greater Kansas City Metro area is speed. Leadership for the City of Overland Park, KS bent over backwards to be difficult in dealing with Google Fiber, with leadership showcasing their lack of knowledge about the Gigbit Fiber Optic service, to the point of lacking an understanding of something so simple as bandwidth and how well an Internet service delivering speeds of 1,000Mbs (upstream and downstream) could effectively or adequately service area schools. Now there is some backpedaling going on, but as they say 'good luck with that'. It is pretty well documented how terribly this was handled. Wouldn't it be wonderful if Google came back someday and brought the service to Overland Park? Yes, but I'm not holding my breath. The Kansas City Business Journal spelled it out fairly well in their article here. For October 2013, you can view and/or download a copy here. Want a PDF copy of the Kansas City Directory featuring all October promos (like this great one)? Then view, download or print the October 2013 Directory for Kansas City here. 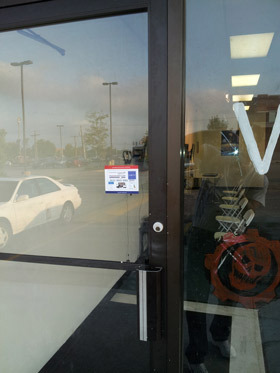 Kansas City's only LAN Gaming Center opens 9/16/2013! 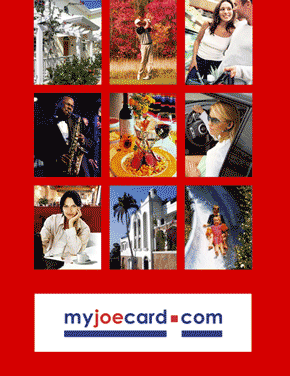 Save 10% off your gaming experience w/MyJoeCard! Come game with friends, compete individually and as a team in our high-tech computer gaming rooms! Enjoy multi-player games together in a social game environment. Great for birthday parties. <-- Check out our October 2013 Directory for Kansas City. 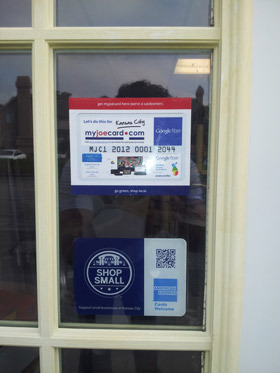 Downloadable PDF highlights specials, savings and event at local businesses. 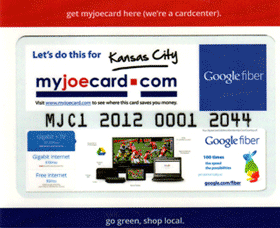 Two New CardCenters in Overland Park! 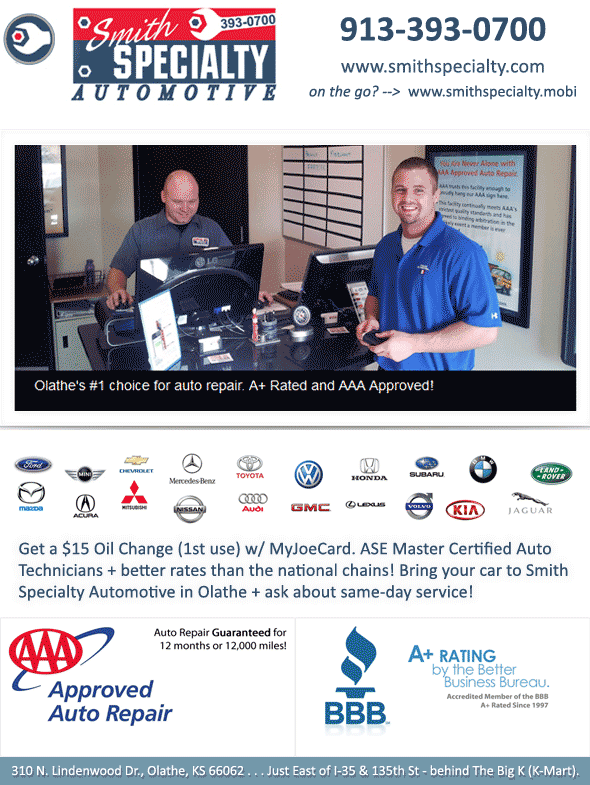 Three New CardCenters in Olathe! Printing Express of Olathe located at 521 N. Mur-Len Rd. 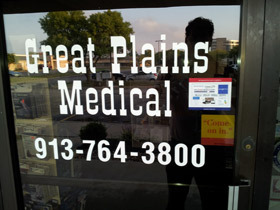 Great Plains Medical located at 1849 S. Ridgeview Rd.